Exposure to harmful light at night emitted by gadgets can be bad to your health and sleeping patterns. Pegasi Light Therapy Smart Glasses offer an alternative. SAN FRANCISCO, CA, US, July 2, 2018 /EINPresswire.com/ -- With the rise of technology addiction, comes another issue that’s keeping people up all night: Insomnia. Research shows that insomnia is on the rise due to exposure to specific wavelength light at night coming from smartphones and other devices. 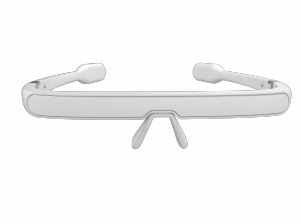 GENHIGH, an exclusive partner for PEGASI Smart Sleep Glasses II brought this innovative product on Kickstarter, and quickly reached its goal within an astounding 24-hour period proving consumers are looking for alternatives ways to correct their sleeping patterns without medication or completely ditching their smartphone at night. 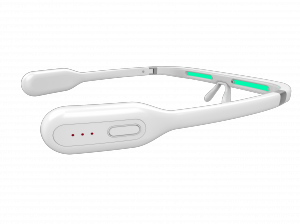 PEGASI Smart Sleep Glasses is a pair of smart lenseless glasses that improve the users sleep quality with physical light therapy. The unique dual-wavelength light stimulates the nervous system with a signal that regulates melatonin secretion and improves sleep quality. With PEGASI the user will fall asleep faster and have better sleep quality with only 30 minutes of use a day for 7 days. Light therapy has been proved by NASA to improve an astronaut’s sleep quality in space. PEGASI now brings this innovative technology to the public to help everyone who suffers from sleeping disorders. PEGASI is embedded with lights that reside on the inner edges of the glasses to emit a soft green hue when activated. This serves to produce certain wavelengths of light which can affect sleep quality by stimulating the hypothalamus gland responsible for synchronizing circadian rhythm and the secretion of melatonin which aids sleep. It has been found that circadian rhythms can be trained to be shorter or longer, thus affecting hours of sleep. PEGASI hopes to train circadian rhythms among insomniacs to promote a more regular sleep cycle in a non-invasive, non-medical way. While everyone may deal with some type of short-term insomnia, there are some who suffer from long-term bouts. This can affect one’s energy levels, weight, blood pressure and overall quality of life. Although PEGASI is not medically certified as a cure or treatment for insomnia, the research proves to be promising. Ninety-two percent of participants who wore the glasses for the prescribed amount of time reported an improvement in sleep. Additional research from NASA and some universities supports these findings. PEGASI’s unique wavelength of light treatment has the same positive effects on your body as natural light does. It helps regulate sleep and wakefulness. Users will see changes in as little as seven days. With the brand new collapsible frame, PEGASI owners can enjoy light therapy anytime, anywhere. PEGASI features a built-in rechargeable li-polymer battery, Bluetooth 4.0, smart touch switch, patented flat laminating modules, and nose-pad camber for comfort. To reap the full benefits of wearing PEGASI, those who diagnosed with insomnia and who are willing to improve the overall sleep quality are encouraged to keep them on for at least 30 minutes each day between the hours of 7 a.m. and 9 a.m. consecutively for 7 days. Progress can be monitored on a mobile device or smartphone using the PEGASI mobile app (IOS or Android). There are also options for energy boosts if the wearer feels sluggish or fatigued throughout the day. Samples may be available upon request. Please email Gina Hughes at gina@charmed.media for more information.